"Travel all over the world/ there's no place as sweet as home" sings the Glo-Ko-Ko man to start what is destined to become a Saint Lucian anthem. 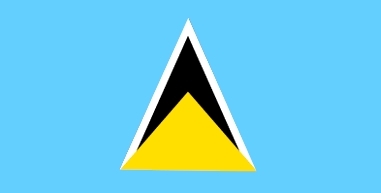 "Saint Lucia We Love" by Mongstar has been released days before the country celebrates its 33rd Independence Anniversary on February 22nd, under the theme, "One people, one nation, limitless possibilities." It has a music bed and message that will tug at the hearts of every countryman. Written by Marley "Mongstar" James and award winning songwriter and producer Courtney "Curty" Louis, "Saint Lucia We Love" was recorded at the Stratosphere Music studio in Bois D' Orange, Gros-Islet. It is produced by Louis for his Dutch Productions blueprint with assistance from Stephen "Horseface" Mathurin and Mongster's father, Ras Bonte' who plays nothing short of a wicked guitar lick towards the end of the song. "Saint Lucia We Love" also features background vocals from Marie-Anne. Refreshing beat for St.Lucian music ... I like the dance music vibe! Don't forget you can buy an I AM LUCIAN tee!